Mr Turner’s gift provides funding for early career researchers in the Faculty of Science to enable them to visit institutions overseas and to learn new research techniques not otherwise supported through their research program. Dr Morris spent 5 weeks on the east coast of the USA collaborating with renowned marine biologists on experiments in the use of living shorelines (such as oyster reefs) as coastal defence, a concept which is emerging in Australia as a potentially cost-effective and environmentally preferable alternative to traditional engineering structures. Dr Morris says the award was invaluable in helping her extend her international networks. “The award enabled me to collaborate with leading researchers in the field of nature-based coastal defence along the East and Gulf Coasts of the United States,” she says. 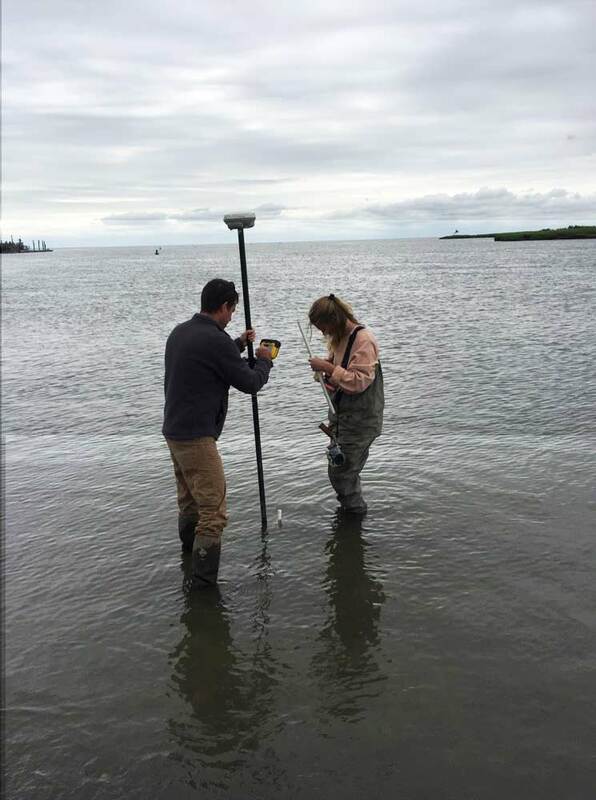 “During my visit we replicated the same experiment in five locations to determine how much wave attenuation is provided by restored oyster reefs and what factors influence this. 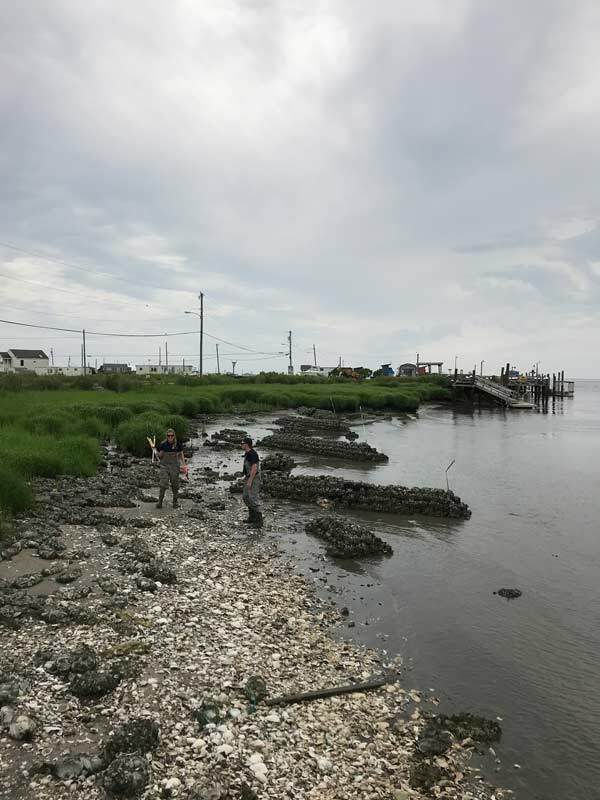 “The aim of this research is to first determine if oyster reefs prevent shoreline erosion, and if so, are restored oyster reefs cost-effective alternatives to traditional engineering structures? The Faculty of Science recognises that support for Early Career Researchers (ECRs) is fundamental to the provision of the next generation of leaders, innovators and academics. ECRs are integral in supporting research results and fulfilling research capacity as well as providing energy and new perspectives in disciplinary debates as they train for research careers. Supporting ECRs is a key element of the Faculty’s 2015-2020 Strategy in driving the quality of future research capacity and outcomes. Exposure to global scientific networks is a key aspect of career development and establishing peer recognition of ‘research excellence’. The program supported by Peter Turner is increasing travel and professional development opportunities for ECRs and enabling them to learn from leading international research institutions. The program enhances new ideas, new research techniques and global networks and collaboration. In addition to Dr Morris’ research, the ECR Global Mobility Grants have supported ECRs to visit research groups and study delta formation in the Mississippi, the psychology of human-nature interactions in Sweden, quantum diamonds in New York, and predators’ responses to human-modified habitats in Canada. In 2019, the grant will allow Faculty of Science researchers to visit India, California, the UK, and Germany.